Lets say the 50k lumens cant be run at very high if they write stable 15k then it means it can run that nonstop probably… so if paying 600$ for a light that can only run short bursts highest its a waste of money then and lumens..
Everyone has different opinions on wasting money. Some people will like it and buy it, others won’t. This is the way it has always been. RRP on the DX80 is around $400 but Gearbest nearly always do it for around $220, I expect the MS12 will be competively sold by Gearbest, Banggood and other stockists at a price per lumens point that puts all but Hank Wang to shame! Imalent notoriously underestimate their lower mode level ratings so chances are that 15k could be 20k. I heard Imalent were selling the DX80 at cost ($180) just to get rid of them. They needed the money to build new models which hopefully could be sold for a profit. So I would not expect half off on the MS12. We will have to wait and see. I wonder if there’s a lot of banter between the Imalent and Acebeam teams or bad feeling? It’s like Ferrari v Lamborghini, and Olight are the potential Bugatti brand waiting to shock us with a Veyron/Chiron. Oh no, that is alot of wasted potential. So with XHP70.2, they can probably get 70k lumens? I hope Imalent don’t glue the bezels and make this thing modder friendly so we can get it modded with 70.2 emitters. It’s probably already pushing 500+ watts. I don’t think there’s much more left in the batteries. If you leave the driver alone and just swap emitters to 70.2, you might get 500 more lumens each (at maybe 7A@6v) so another 6,000 lumen. Maybe not even that much. I’ve been thinking about getting the TN40Svn but that R90C looks even more tempting. I’ll wait for a review or two before pulling the trigger. there is a point where you gain little lumens with a lot more heat and possible issues over long time, like burned phosphor ect. Well, yes, optimal can mean different things. 20000 lumens OTF is possible if they are driven optimally (BLF style), but I doubt they will be driven that hard for the reasons you mention. I have the RT70 and DX80. Not one single problem in the 6 months that I’ve had them. I use both weekly. I’ll def be placing an order for the MS12 once avail. My DN70, DT70 and DX80 are all going strong, 2 Olights are all faulty and my Acebeam X80 is faulty. Olight and Acebeam have excellent warranties. Imalent does not. The last two models doesn’t make much sense to me but it is very nice to see manufacturers making the jump to 20700 in multi cell lights. The big difference between the single xhp70.2 and 9 x xhp35-HI is that the later will have a bigger hot spot diameter with the same, or higher, intensity. The 12 x xhp70 will be another step up in hot spot diameter, but a bit less intensity. In addition, the spill brightness will increase for each model as well. The 12 x xhp70 also has the fan cooling to allow for higher sustainable output. So it’s a matter of matching the light to your needs. Who is going to get a MS12 to tear it down? What to know how they put the fan in. Or does someone has a connection at imalet that can ask some details? They better do so u can replace the fans, like olight showed incase they break down and it looked solid but for the production nope.. because small fans arent really reliable in the long run, dust will collect etc if u cant take out to clean etc its a good reason why olight dumped such solution. And will manufacturer like imalent and acebeam have tons of stock of those fans in case they break down etc if u indeed can take them out urself? Τhey have to test them for hours before, with the lights on, to learn if they are reliable. Well yes but fans cant just be reliable for x hours, they must be reliable for many months or even years, i really doubt they will be and once again if not user replaceble then its just bad. Throw seems better than DX80. Groupbuy? only 3, 4 min on highest with active cooling ? If I understand well from the list it is 3min at 53000Lm. yes i know, was just expecting a bit more. I think Imalent went with a cooling design that was very easy for them to build and it does not give high efficiency. Acebeam designed their 40k lumen light using 3 fans for max cooling. 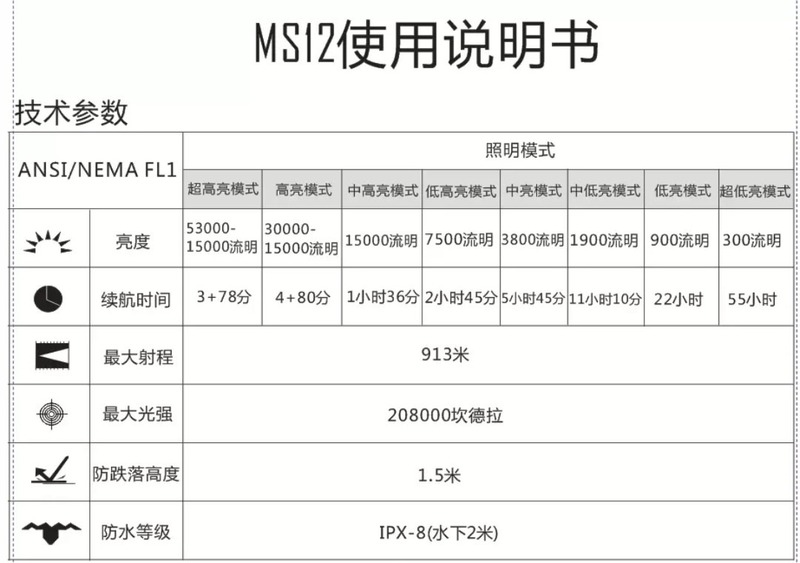 Imalent has even higher output and is only using one fan (size unknown). It’s quite possible Imalent sped through the design phase just to get their light out onto the market as early as possible. Nice Bundt Cake Pan Reflector…. so its using 1 fan only, that explains why it cant run the highest that long. doesntlook like u can replace it urself either?